Lizandro and Diego initially won reprieves from deportation after entering the country without US citizenship in 2009, however their requests to be granted stays of removal have been denied since 2013. Since immigrating, the brothers have been taking classes at local high schools, and Lisandro recently learned he’d won a scholarship to play soccer at a North Carolina college. Neither brother has a criminal record. On Friday, the brothers visited ICE agents in Baltimore for a routine check-in, but were unexpectedly detained. 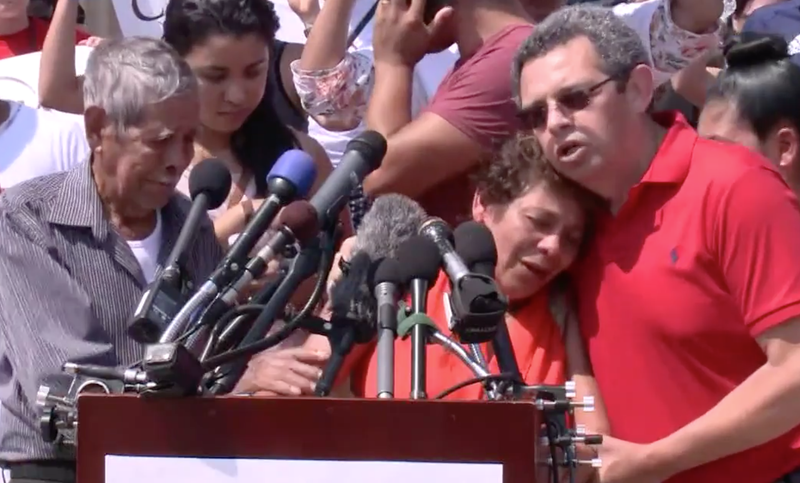 The brothers’ lawyer, Nick Katz, told the Washington Post, “The ICE agents told me they were deporting the kids because Lizandro got into college, and that showed they intended to stay in the US. Diego and Lizando’s deportation comes amidst Donald Trump’s unveiling of the RAISE Act, which would make it even more difficult for undocumented immigrants to obtain green cards, and prevent new immigrants from collecting welfare. The new law would favor applicants who are wealthier and speak fluent English.